Pathways to Great Careers in Alabama - Central AlabamaWorks! While seeking a university degree is admirable, it isn’t a necessity for a well-paying job or a promising career. A recent survey of online job ads found that of the 39,514 open positions in Alabama, most do NOT require a four-year degree. What they DO require, however, are applicants who are qualified both fundamentally and technically. The most foundational qualifications are identical across all industries and are commonly called “employability skills.” Showing up on time, being drug free, working as a member of a team and demonstrating a willingness to learn are critical to every company. Technical skill requirements are more industry specific and can come in the form of on-the-job training, industry-recognized credentials, stackable certificates, or associates’ degrees from one of Alabama’s outstanding community colleges. As you can see from that list, these are well-paying jobs, and the only job for which a four-year degree is required is industrial engineer. Nationally, there is a deficit of qualified employees to fill these and many other skilled jobs. Alabama’s continuing economic growth means that shortfall could grow bigger as industries set up or expand operations in Alabama and create more jobs requiring specific skills. We cannot overstate the importance of increasing the exposure of students to the wide range of career opportunities available in Alabama. In the state’s seven workforce regions, industries are joining forces to host hands-on events. Through “Worlds of Work,” “Worlds of Opportunities,” and other career expo events, eighth-graders get a firsthand view from businesses of the many jobs they offer and the skills they require. These events and programs engage students with the job market and plant the seeds for careers available without a four-year degree. At the ALSDE, we recognize that we can only teach things we know. So, we are not only educating our students, we are also educating our career coaches, teachers and school leaders. We are collaborating with Alabama’s seven Regional Workforce Councils to take educators on industry tours to expand their knowledge of the opportunities available to students. In turn, these educators are sharing this information with our young people. Another one of Alabama’s innovative educational programs is technical dual enrollment. Thanks to funding from the Alabama Legislature, students can take community college courses in high-demand occupations at no cost while they are still in high school. Students can simultaneously earn college and high school credits. These credits provide an important head start toward a technical certificate or degree. A growing number of students are even earning a high school diploma and a technical/two-year degree at the same time, giving the graduates a jumpstart on a career with good pay, benefits and advancement opportunities. The bonus is, they get that head start without incurring student debt. In addition to the many programs we offer directly through the schools, the ALSDE also encourages students to take advantage of other training programs that likewise give them a head start toward the careers they want. One such program with a renewed emphasis in Alabama is the registered apprenticeship. The ALSDE is working with companies to identify placement apprenticeship opportunities that can be filled by students still in high school. 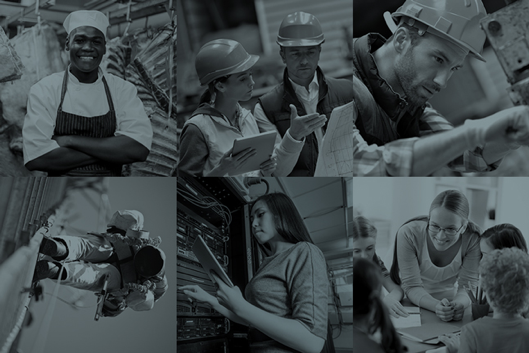 The goal is to help employers fill their workforce needs while giving students earlier exposure to a wider range of career options and the chance to “learn while they earn.” Apprenticeship areas include: healthcare, construction and carpentry, information technology, distribution, transportation and logistics, and advanced manufacturing. In many cases, the student completes the program with little or no school debt AND with a job offer. Alabama is a great state, and there is no other place in the world I’d rather call home. We have an amazing abundance of resources, and the most important one is our people. Connecting Alabamians with rewarding careers for which they are appropriately trained will allow us to prosper now and for decades to come. Under the umbrella of AlabamaWorks!, state agencies, businesses, educators and others have joined forces to close the employer-employee gap. We’re all working together to supply different pieces, solve the workforce puzzle, and promote good-paying and rewarding careers – all while meeting the needs of industries and driving economic development in Alabama. This article was written by Josh Laney, Ed.S., Sr. Director for Workforce Development with the Alabama State Department of Education. He can be reached at jlaney@alsde.edu or on Twitter at @LaneyWorks.